The collapse of the American dollar is being accelerated in a massive way by the way the United States government. This is a result in how it is funding the escalating debt and liabilities of the federal government. As stated previously in another article the United States is now unable to fund through taxation over 40 % of the national budget. This is one of the major challenges of investing in 2013. 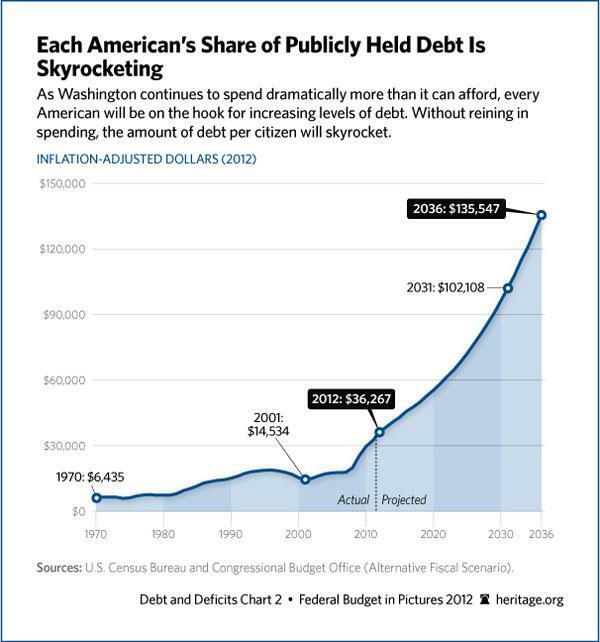 It becomes quite troubling to realize that the U.S. Government under the Obama Administration has already accumulated more debt than it did from the time of George Washington becoming president to the inauguration of Bill Clinton. It becomes frightening when one considers President Obama is now just beginning his second term and has absolutely no inclination to slow down the spending. In fact he continues to talk about needed “investments” and not short changing any major constituency of his political party. This is not to excuse the spending that was not paid for by the Republican Party when they had more political power in Washington. One can debate the merits of the tax cuts passed under the Bush Administration, the new spending on Medicare and the decision to enter two wars. What cannot be debated is that these initiatives were all passed by a Congress that did not provide sufficient funding. Neither party had a complete lock on power for any real length of time since the beginning of the 21 century so the game of continuing to blame the other side is a worrying and foolish game that Americans have indulged in for far too long. Americans cannot even imagine what the collapse of the American dollar will mean to the nation. The country is however, already beginning to experience the impact of debt on the value of the dollar. Prices are rapidly rising for food and energy the two most needed components in household budgets around the nation. It becomes alarming to realize that under our current system there is simply no mathematical way that this debt can ever be repaid. In fact it is now becoming impossible to balance the federal budget itself on a yearly basis with entitlement spending continuing to accelerate. The President proceeds to talk of even higher taxes on the wealthy. This has little chance of helping and will only put a small dent in the rising debt level if spending continues to rise at the present rate. Only a big tax increase on the middle class across the board would make a substantial difference in tax revenue. The administration also doesn’t account for wealthy citizens that may consider renouncing their citizenship and not paying taxes all together. This is a pattern that has already begun in France. The newly elected president Holland attempted to raise tax rates on the wealthy to 75%. Even if possible in this politically acrimonious environment it is not clear that a major tax increase would be as beneficial as one might think. Many notable economists will argue that higher taxes at this point may well lead to even slower economic growth. Already the 4th quarter Gross Domestic Product in 2012 for the United States is in negative territory. Two quarters in a row of this negative growth and the country is once again in an official recession. The United States has now piled up the largest debt in the history of the world. It is completely irresponsible for the public at large to continue to vote for politicians who promise more spending. This lack of responsibility and foresight will ultimately destroy the American economy. This will bring about the rapid decline of the United States dollar and in the standard of living of almost all Americans. This is the main reason we discussed the viability behind opening a business in Singapore. A significant part of the U.S. population refuses to believe the reality of what is happening and continues to argue that any cuts including a slow down in the rate of entitlement growth is just not possible. What these Americans don’t realize is the United States already has more government debt per capita than Spain, Ireland, Italy, Portugal or even Greece for that matter. The United States alone is now responsible for one third of all the government debt in the world. By 2015 some experts predict the debt will grow to 23 trillion. That is an additional 6 trillion plus being added to the national debt. Mandatory federal spending alone now absorbs that entire part of the budget that is actually funded through taxation. The United States liabilities including intergovernmental debt at present stands at 22 trillion or more. (Intergovernmental debt is money borrowed from other accounts like the Social Security Trust Fund). Without any changes to entitlements future liabilities that will go unfunded will top 200 trillion dollars or more. The present debt is being repaid at almost ridiculously low interest rates. If this charge would return to more realistic rates the interest on the debt would explode to a trillion dollars a year. Even with interest rates at historic lows 220 billion dollars were used in 2012 alone to pay the cost of servicing the ever expanding national government debt. To make matters worse, even at these exceptionally low interest rates it is projected by 2020 that the cost of servicing this debt to the American taxpayer will exceed 1 trillion dollars a year anyway. The Obama Administration continues to foresee trillion dollar federal deficits throughout the present decade. Since Obama’s arrival to the Presidency the average debt of every taxpayer in the United States has increased by 64,000.00. If the taxpayers had received the bill for his first term I doubt the election results would have been the same. I fully realize that the Congress particularly the House, sets funding for the United States government but it is the President who determines priorities and the present priority of this Administration is to spend money, lots of it. The Affordable Care Act known as Obama Care will place unimaginable extra costs on the federal budget and is only part of the mass and reckless spending that is going on in Washington. Again you can discuss the merits of the various programs on their own but the cost is simply not affordable at present. The collapse of the American dollar will quickly end the spending for many of these programs in any real terms regardless. It was irresponsible and dishonest for the politicians in the nations capital to have passed a major new entitlement without explaining the true cost of what was being proposed. They can’t use the excuse that they didn’t know. Of course they knew they just didn’t care. They were too much in a rush to pass a new unaffordable entitlement. A quote from the House Speaker at the time is as follows “But we have to pass the health care bill so that you can find out what is in it.” Who can be that irresponsible and disingenuous? Yet the voters in her district will continue to re-elect her despite the damage she has done to the fiscal health of the nation as a whole. So the literal 64,000 dollar question is simply how can all this be funded now and in the future? The United States can no longer borrow money in the traditional manner. The need has far exceeded the demand for U.S. Debt both domestically and internationally. The decline of the United States dollar is already in full motion. So how is it being done? It is accomplished by a monetization of debt by the Federal Reserve. What this institution is doing is buying United States treasuries. In the past most of the debt issued by the government was borrowed from individuals, corporations and even foreign governments. Sales to these entities involved an actual exchange in money. More and more of today’s debt is financed through the Federal Reserve. It doesn’t actually have to print money to buy them. A credit is issued and the treasuries “bought” are put on its balance sheet. This credit is now treated like actual money. This in reality turns the debt into actual money. The benefit accrued is that it decreases the supply of U.S. Treasuries. The ones still on the open market are therefore more valuable to buyers. This causes a drop in the interest that buyers will accept in the purchase of these Treasuries. This lower yield drives down overall interest rates particularly in the mortgage market. The resulting effect is that these Treasuries seem to not exist. The problem is that they do exist. In a technical sense the United States Treasury should actually repay this debt sometime in the near or long term future. The immediate result however is that the Federal Reserve has given the government more money to spend through an increase in the money supply. This would make perfect sense in an actual financial or monetary emergency. It allows the government to increase spending to stimulate the economy without raising interest rates. It results in an increase in aggregate demand which might be needed in an actual recession. Of course, when the recession is over the action should be reversed. This supposed reversal is not happening any longer. The monetizing of the debt is increasing at an accelerated pace as the United States government falls ever deeper into debt. The government of the United States makes the situation even worse by another Federal Reserve policy known as Quantitative Easing. This is when the Fed buys loans from banks, hedge funds, and other institutions of finance. These institutions in theory are now free to make new loans to customers thus injecting even more money into the economy. Watch this funny video explaining Quantitative Easing. The first round of Quantitative Easing arrived in 2010. We are now in the third round. 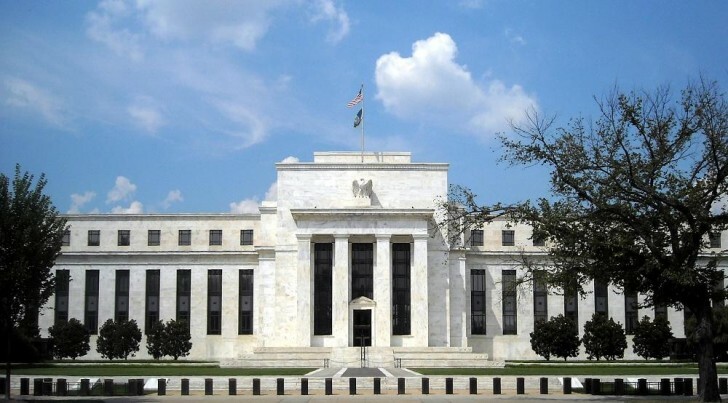 In September of 2012 the Federal Reserve announced a new open-ended bond purchasing of 40 billion dollars a month. They have committed to purchase agency mortgage backed securities indefinitely. The result of Quantitative Easing in the three rounds thus far was to introduce trillions of “new” money into the American and world economy. The world has become awash in United States dollars. The supply is clearly outstripping the overall demand. It has already brought on a major price increase for a number of commodities worldwide. So at this point the American government is allowing the Federal Reserve to continue to fund the federal debt by the “printing” of money for the foreseeable future. Finally, the Federal Reserve is also in reality directing the printing of more actual currency for circulation. This will only accelerate the collapse of the American dollar. In 2004 the amount of currency in public hands was 667 billion. By 2008 it had risen to 853.2 billion. By the beginning of 2013 it had risen to 1.16 trillion. Are we to believe that the economy has practically doubled in size in 8 years? Real economic growth is the only applicable reason to increase money in public circulation. Obviously, growth in the American economy has not kept pace with the expansion in the supply of money. The Gross Domestic Product of the United States in 2004 was between 11 and 12 trillion. By 2008 it had reached almost 14 trillion. Four years later in 2012 it had rose to just over 15 trillion. The amount of goods and services produced by the United States has increased relatively very little in the last 4 years but the amount of money in circulation has jumped substantially. The end result of this printing of money will be more inflation and a major devaluation of the United States dollar. There will be some that will argue that as a world reserve currency that the United States can continue to print and create money with impunity. There are two problems with this theory. One involves the credit rating of the United States the second is the continuing acceptance of the United States currency by other countries as the medium for international exchange in commodities. For the first time in the history of the modern United States the credit worthiness of the American government was called into question by the agencies that measure debt risk. A downgrade occurred for the first time in 2011 by Standard and Poor. As the debt problem continues to spiral out of control expect future downgrades to continue. As individuals and governments around the world begin to question the ability of the United States to pay its debts in a stable currency the status of the dollar will come under increasing pressure. Suddenly there will be a collapse in faith in the value of the American dollar and the proverbial financial house of cards will come tumbling down. Under the present government policies it is no longer a question of if but when? The only possible way to forestall this coming fiscal and monetary storm is to dramatically reduce federal spending and restore real economic growth to the economy. This will bring in more federal revenue in the form of taxes as unemployment drops and more people are fully participating in the economy at large. It will also help reduce government spending on these newly employed individuals. If the federal debt as a percentage of the overall economy can decline it will allow some fiscal “breathing room” as the nation begins to tackle the present unsustainable growth rate of entitlements. The above solution is predicated on the political leaders of the United States to put aside their differences and possibly even jeopardize re-election chances in their districts and states. It is asking them to become statesmen. Unfortunately, the present political situation in the nations capital does not leave one much optimism for this outcome. I unfortunately whole heartedly agree. It is totally unsustainable and it will take more than just idle talk to get us out of this mess. The entitlement spending is way out of control and the truth is even if you tax the wealthy 100% of their income it would not make a dent in the deficit. By the way your quote “If the taxpayers had received the bill for his first term I doubt the election results would have been the same.”…..that would have made an incredible political campaign add. The populous here in the US, with all due respect, has been dumb downed so much that only picture words have impact…God help us!!!!!! !